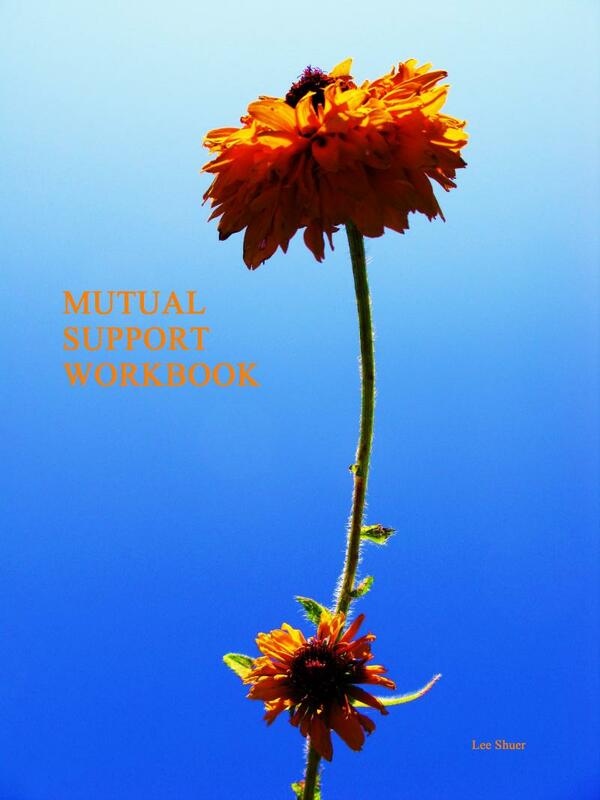 The Mutual Support Workbook was written from the point of view that everyone has lived experience, and that everyone can give and receive mutual support. A culture of openness can be achieved through the sharing of personal stories of triumph, patience, courage, and hope between both mental health staff and the people they work with. In a mental health system that is starting to hire peer staff, it's important for the rest of the staff to feel that they too have unique value. Being a peer doesn't have to mean having a mental health diagnosis. When an entire workforce embraces it's own human potential, and staff and participants really start to talk, a lot of learning takes place, and the recovery happens on its own, all around. "When it comes to language, what we say says a lot about us. Our words can be those of hope, resilience, and new beginnings; the language of wellness. The language we choose to use determines the tone of our conversations and the environment we live and work in. As role models, mentors, and colleagues, we should strive to use the language of the wellness world view."